This stunning cherry pavlova recipe is packed with billowing cream, a rich cherry syrup, pistachio brittle and heaps of fresh cherries for a stunning summer dessert. The perfect dish for a summer get together. 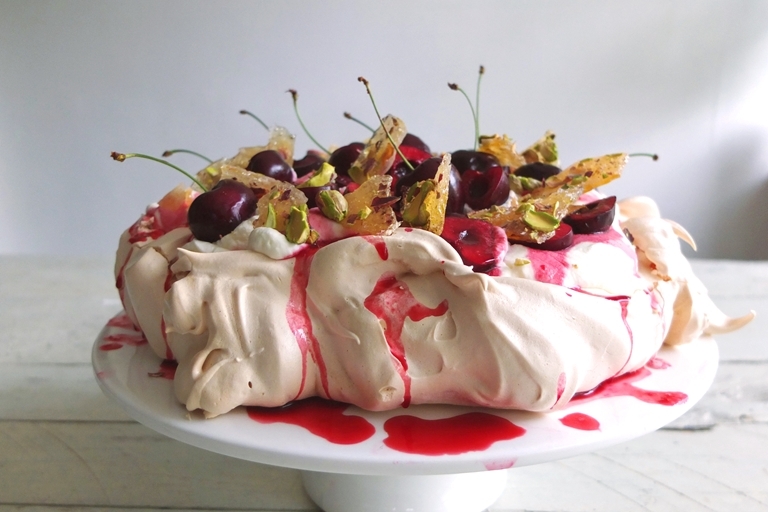 This extravagant pavlova is loaded with soft folds of whipped cream, cherry syrup and lots of fresh cherries. The finishing touch is a scattering of pistachio brittle. It’s messy but oh, so much fun.